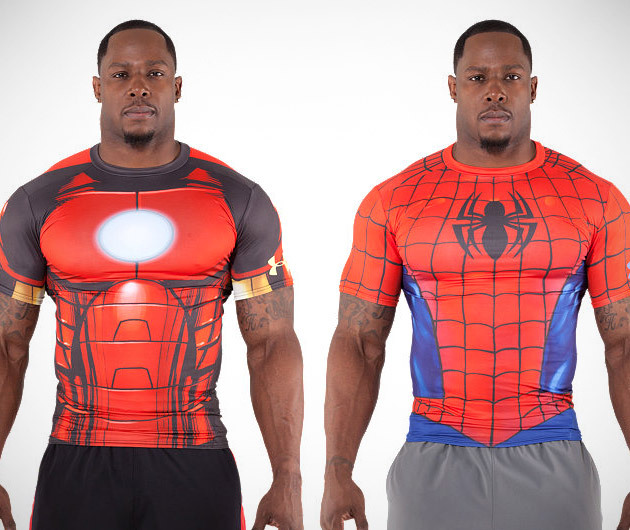 Train like a true hero with Under Armour Alter Ego Baselayer. The smooth, light HeatGear sonic fabric makes for extra comfort and added compression for that extra boost when your muscles need it most. The 4-way stretch technology maintains shape and mobility and it's available in a range of designs including Spiderman, Superman, Hulk and Batman. But not Robin, surprisingly.